Small cap stocks underperformed significantly during 2014, compared to larger caps. As the US economy strengthens while key international economies struggle, small caps are well-positioned. We anticipate small caps to outperform larger caps in 2015, but returns will be restrained compared to years past. The small cap stocks put in a forceful effort in December, pushing decisively into positive territory for the year and assisting the lagging small cap Russell 2000 index to finally record an annual and all-time high. Broader indexes measuring the performance of larger caps had been recording annual highs months earlier. Rising small cap markets typically indicate a growing appetite for risk. A favorable disposition to assume speculative risk is an important prerequisite for small caps to even outpace the larger segment of the market. Market volatility has been significant in the final months of last year, as speculation on interest rate policy and the sharp decline in oil prices enhanced market uncertainty. As economic growth indicators have strengthened further in December, so has the market’s confidence to overcome the systemic risk related hesitancy. Nonetheless, an over 3% gain eked out by Russell 2000 in 2014, reflected a dichotomy of performance between small caps and large caps, which reported stronger gains for the year as reflected by the 11+% gain for S&P 500, and an over 13% gain for the Nasdaq index. Graycell’s small cap portfolio eked out an over 7+% gain to surpass the benchmark Russell, but still a relatively mild performance hurt by the volatility in the final months. Heading into 2015, we feel small caps can catch-up on this performance gap and are positioned to outperform the large cap indexes. The oil price meltdown is behind us, and any further price changes in either direction are more likely to be incremental rather than abrupt and harsh. As unexpected volatility subsides, it allows small caps to outperform against the backdrop of continued strength in the US economy. Nonetheless after a rapid rise of the Russell 2000 index, we expect to encounter a period of consolidation in the early part of the first quarter, and thereafter small caps should outperform for remainder of the first quarter. 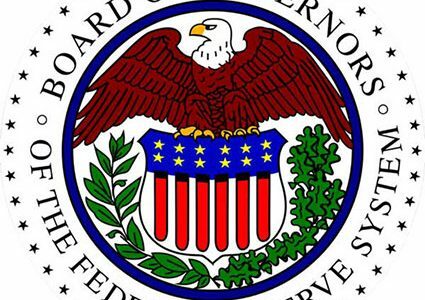 During the second quarter of the year, we believe the speculation of a rising interest rate environment in the second-half of the year should create a headwind as markets factor in a major shift in the position of the Federal Reserve. The run-up stretch to the resetting typically results in a highly volatile situation, even though interest rates will remain below normal long-term levels. As the market sits on this edge of uncertainty, it can affect small cap stocks as well along with the broader market. A quick pull-back and perhaps a correction can be set up during the second quarter. Once a policy resetting increase is accomplished, or evidence mounts for a deferral to 2016, we believe fundamentals will ensure that indexes regain higher ground during the second-half. It is our expectation that interest rates will remain unchanged for 2015, and the first increase shall occur in early 2016. Our deviation from the consensus is spurred by a global economy which lacks durable forward motion in key geographical regions – Eurozone, Japan and China. In addition, the global consumption slack and an oil-leading commodities slide exerts disinflationary forces which will provide significant flexibility for the Fed to choose a path of continued restraint. The downside of a premature increase is substantially profound, particularly if it stokes deflationary tendencies, compared to the downside of a delayed increase. It is relatively easier and less disruptive for the Federal Reserve to delay a change in policy stance out of an abundance of caution, and subsequently move higher at an initially faster pace, then it would be to retreat following a premature increase. Small caps are better positioned in 2015 than larger caps, since they corrected deeper and consolidated longer during 2014, and are more highly correlated to domestic economic growth compared to global growth. At the same time there are some key systemic risk events that are scheduled to occur this year, notably the interest rate policy and possible reverberations from a continually struggling Eurozone. Effective risk management and disciplined small cap investing, with shrewd selection, can deliver another outperforming year for the portfolio in a market that will be relatively frugal in its returns, we believe of 5% to 10%, compared to years past. This is our opinion at the beginning of the year, and we will calibrate our judgment as market conditions evolve.